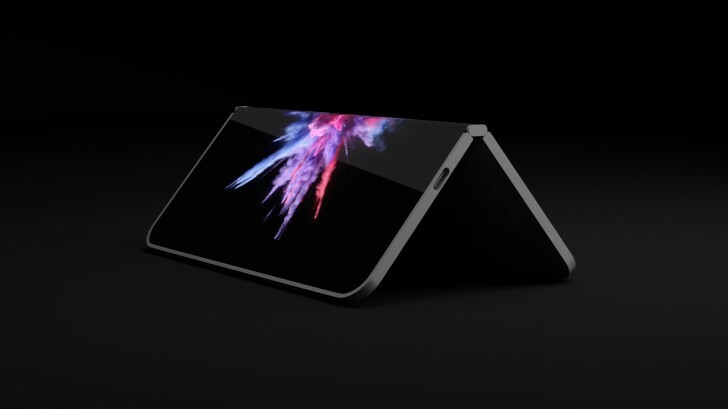 It's been a few months since we last heard about Microsoft's foldable Andromeda smartphone but according to a book called "Beneath a Surface", the tech company will surprise us with the innovative device in 2019. It gives out some interesting info regarding the hybrid's functionality. The book tells a story about a tablet, which when folded acts as a smartphone. But Microsoft won't be using the regular old Windows Phone OS, which is dead for a while now. Reportedly, it will offer a full-fledged Windows experience with some minor trimming at best. The book also talks about other devices that Microsoft is planning through 2019. Expect a new Xbox One console, Surface laptops with AMD chips instead of Intel's, re-designed Surface Studio and a direct iPad Pro 12.9 competitor with a USB-C charging port and rounded corners of the screen.